Expired 4mo ago . Last validated 5mo ago . Used 81 times. 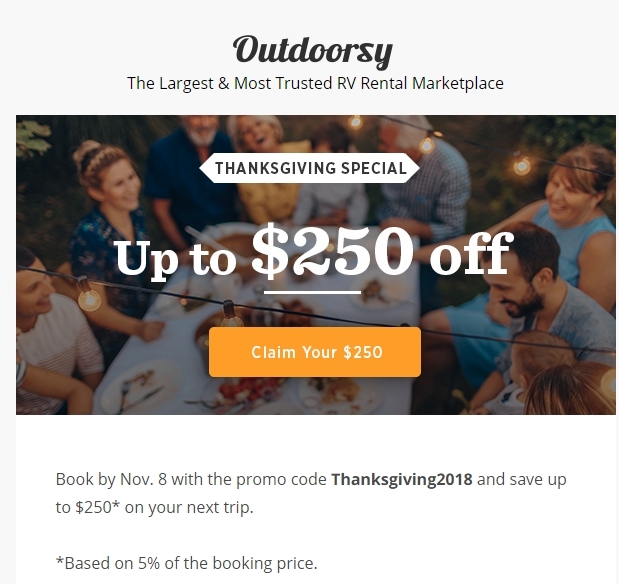 @raiseup Book your next RV rental with the promo code Thanksgiving2018 and save up to $250* on your next trip. *Based on 5% of the booking price.